The mandarin is a fruit similar to the orange but smaller and flattened in its base. Its rd is smooth, shining red orange-coloured and very easy to peel, even with the hands. The mandarin is consumed mainly as fresh fruit, although there are also tinned mandarin gores. The mandarin is suitable to treat ulcers, the vesicle, it is good for fever, anorexia, cough and alcohol poisoning. People with mouth sores or dry defecation must not consume mandarins. The mandarin is a fruit similar to the orange but smaller and flattened in its base. Its rind is smooth, shining red orange-coloured and very easy to peel, even with the hands. The mandarin is consumed mainly as fresh fruit, although there are also tinned mandarin gores. It is one of the most popular fruit in the world, because it is easy to peel. The rind is smooth and bright, the colour ranges from yellow to red-orange and the pulp can be sweet or very sweet. The fruit is round and slightly flat in its base, it measures around 4-7 cm in length and 5-8 cm of diameter. Its colour is variable, it ranges from greenish yellow to red orange, although an important characteristic is its bright skin. It is easy to peel and has many scented glands that impregnate the hands of the person who presses them; this is the origin of the scent impregnated in the consumer’s fingers. The pulp is juicy and sweet, divided in 10-12 gores, with or without seeds inside, depending on the variety. The mandarin is a source of vitamin C, although in smaller proportion than the orange, rich in fiber and with a high water content. The commercial importance of the mandarin is in its consumption as a natural product, as dessert or snack, and it becomes more and more important in the European markets. In cooking, mandarins can be used in hunt and pork dishes, seafood, salads, etc. It is also used in many desserts, like fruit salads, cakes, creams, etc. At an industrial level, mandarins can be used for different by-products such as juice, preserves such as jam, for the processing of mandarin liquor extracted from the skin, for the extraction of essential oils for the manufacture of spirits, in confectionery and manufacture of soft drinks. But in general, the industrial use of mandarins in juices is not excessively important, since oranges have better properties for these purposes. The mandarin tree is small, thorny and more resistant to the cold weather than the orange tree. It adapts perfectly to desert climatic, semitropical and subtropical conditions. 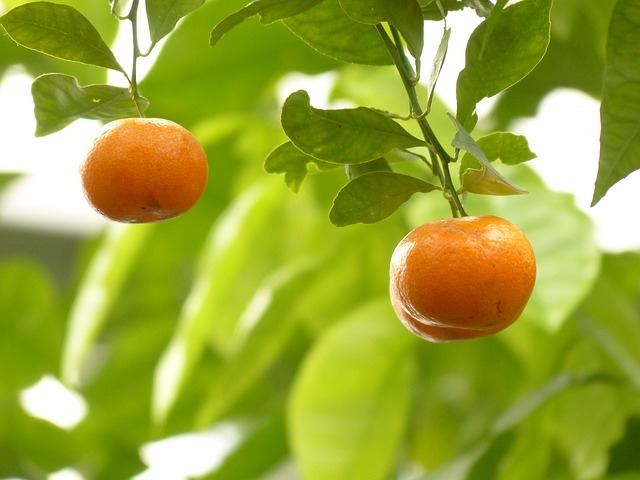 By mandarin we name the fruit of at least two species, Citrus reticulata and Citrus unshiu, that belongs to the group of the Satsumas mandarins. 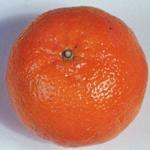 There are many hybrids of oranges and mandarins whose generic name is mandarin. Within this group the Fortune variety would be included. The common term mandarin is used for varieties with a normal orange colour, whereas the name " Tangerine’ is used in some places like the United States for those mandarin varieties with an intense orange colour, for example the tangerine " Dancy". In other countries as Argentina or Uruguay mandarins are called tangerines. The mandarin tree is small, thorny and with perennial leaves. The mandarin trees are normally more resistant to cold than orange trees, although the fruit of the mandarin tree is more sensible to suffer injuries by cold that most of the oranges and grapefruits. This tree is easily adapted to desert, semitropical and subtropical climatic conditions. 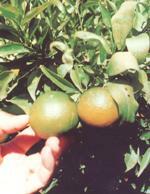 Nevertheless, some varieties like Clementina need certain climatic conditions for good quality and yield. Many mandarins tend to alternate bearings, that is to say, that plentiful harvests of small fruit are followed by small harvests of great fruit but low quality. There are mandarins with or without seeds. The latter is usually smaller than the mandarins with seeds. This possibility to bear seedless fruits is characteristic of citruses, due to their parthenocarpy, that is to say, the capacity of the fruit to develop without pollination. In some mandarin hybrids the presence of pollinizing insects, especially bees, brings along the development of seeds, which is an undesirable commercial characteristic.